Are the Gatekeepers of Science made of stone? The journals respond to the NICMs undeclared conflicts of interests. Imposing figures, these gatekeepers pictured above. Problem is, they only give the appearance that they serve a purpose because they are made of stone, and hence, anyone, friend or foe, can easily pass. In the world of science we also have gatekeepers (scientific journals, peer reviewers, university management etc.) who’s sole duty is to distinguish friend from foe. The former being ‘real scientists’ and the latter, ‘promotional scientists’ or ‘pseudoscientists’. The gatekeepers’ duty is therefore to stop the promotional scientists in their tracks, and not allow them entrance into the scientific system. As soon as these people are allowed in, society will be engulfed with fictitious or alternative ‘facts’, and this can only lead to chaos (unfortunately this has already happened in many countries). Real scientists understands social responsibility and impact, whereas promotional scientists ignores it, for the sake of more funding and increased sales for their sponsors. How to determine the difference between the two? Good place to start is to have a look at who funds a scientific study. Usually this information can be found within the conflicts of interests’ section, which has to be completed by all researchers. Being funded by industry does, of course, not necessarily mean that the research in question is biased. Consequently, it is not entirely fool-proof, but a good starting point nonetheless. It is, however, fool-proof when researchers intentionally fail to declare their obvious conflicts of interests, which implies that their research results are very likely to be biased, and geared towards promoting a specific product or service that their sponsors happen to sell. Another way to tell the difference between the two, is if a research group always report positive results. These positive results doesn’t necessarily have to be reflected as such in their scientific articles, but more so when they use (social) media to ‘translate’ these results to the public. It is hard, but not impossible, to cheat in a scientific article and it is also risky business. You could lose your job, but then only if you have effective gatekeepers in place. To use (social) media to falsely promote ‘positive’ results is far safer because it is unregulated, it reaches the target audience better (the public), and hence it is far easier to get away with it. It basically circumvents the gatekeepers of science. This is an important aspect, because the public does not read scientific articles (it isn’t always available and it’s written in a scientific language that few people understand), but rather read someone’s interpretation of it on Facebook or in the newspaper. Some of these promotional researchers have the ability to take a neutral or negative result and advertise it on social media as a clear positive. This is unethical, but unfortunately, there are no clear guidelines in place to prevent this from happening. Hence, another loophole in the academic system that unscrupulous promotional researchers exploit to the full. But let’s only look at the National Institute of Complementary Medicine’s (NICM) undeclared conflicts of interests, and I’ll get back to their advertising via social media prowess at a later stage. In a previous article I’ve written about the NICM and their intentional failure to declare their very obvious conflicts of interests in many of their acupuncture studies – and this has been going on for years. Currently, the most notable and largest study is an ‘acupuncture for infertility’ clinical trial (final results not available yet). When they published the trial design they ‘forgot’ to mention that Alan Bensoussan and Caroline Smith (both from the NICM) are consultants for commercial acupuncture-fertility clinics, the director of these clinics serve on the NICM’s advisory board, students of the NICM finds employment at these clinics, and that these clinics have donated money to the NICM (you can read about the details here and here). The reason why this editor ignored this issue, became clear when I looked at who she was. Prof Nicola Robinson, happens to be an acupuncturist, she was also admitted to the illustrious ‘ Alternative Medicine Hall of Fame’ (for ‘researchers’ that never publishes negative results), and she has co-authored an acupuncture article with the NICM entitled; “Does acupuncture improve the outcome of in vitro fertilization? Guidance for future trials”. Needless to say, but even in this article under the heading ‘Conflict of interest’ they also declared to have ‘no competing financial interests’. Clearly, WSU and this editor has completely removed the role of gatekeepers and they are allowing everything to pass as ‘science’. This is also the reason why the NICM and WSU have again been nominated in 2017, for the Bent Spoon award, given to the best Australian pseudoscientist of the year. The BMJO published the NICMs article entitled “Complementary therapies for labour and birth study: a randomised controlled trial of antenatal integrative medicine for pain management in labour”. Here again we see that the NICM loves to combine or integrate acupressure (acupuncture without the needles) with interventions that in all likelihood will yield a positive result. In this study they combined six interventions (incl. acupressure to unblock your meridians so that your life-force or Chi can flow freely) and all interventions taken together gave them very good results. It also received a lot of (social) media attention. Now, any scientist will know that when you combine six interventions as a single treatment, there will be no way of telling which of these actually contributed to the positive outcome. And this is exactly what the NICM wants. And hence, although these overall results can be applauded, it again shows that the NICM have ulterior motives which, simply put, is to integrate fake treatments with real treatments and use these results to convince more people to use their commercial acupuncture clinics. Agreed, and this is exactly what the NICM intentionally did not do, but, unfortunately, this was also the last correspondence I had with BMJO. Although a move in the right direction, not completely true, because Caroline Smith is/was clearly a consultant for these clinics (over an 8-year period, but this info was deleted from the clinic’s website after I published my first blog post on this issue), and it does not even mention the donations that the NICM received from these clinics – and this is the crux of the matter! Sure, Caroline Smith probably did not receive any money in her own bank account, but the NICM did accept donations for their research activities. All of this counts towards academic promotions, more students and she was even named WSU’s researcher of the year in 2015. So, she clearly benefited from it all. The fourth journal, ECAM (published by Hindawi) is still investigating this matter. But true to their nature, the NICM first tried to mislead the journal. The journal was even planning to publish a correction, but luckily, they decided to run this ‘correction’ past me first. And, knowing the NICM well, it was quite easy to point out how they were being misled with clever wordplay. After the NICMs failed attempt to mislead Hindawi, WSU also stopped responding to Hindawi’s further queries based on this new information. Only after Hindawi lodged a formal complaint with the university’s ‘independent conflicts resolution unit’ did they respond. Although I am not at all convinced regarding this unit’s independence (I’ve had some bad experiences with them), they even started to respond to my initial queries that I’ve emailed to them about 10 months ago. So, WSU is in all likelihood trying to mitigate the potential risks regarding this comparatively small issue, whereas they should start to address the far bigger underlying problem of allowing pseudoscientists a foot in the door. Apparently, WSU’s gatekeepers will allow anyone in as long as you hand them a bit a cash – and this does not bode well. Promoting pseudoscientific healthcare systems, especially via universities, leads to a lot of people (and animals) getting hurt or even die, as was tragically illustrated with the 6yo boy who died after attending a ‘Slapping Therapy’ workshop at a clinic of one of the NICMs partners. It is quite interesting to note the big difference between how the journals or ‘gatekeepers’ of science responded to this issue. From an absolute and resolute ‘let’s completely ignore the issue’, to a very thorough ongoing investigation, and everything in-between. It is at least good to see that some journals still understand the importance of fulfilling their gatekeeper role. This again shows that science might be factual, but human interpretations of factual observations is, or can be, strongly influenced by our diverse and many vested interests. And this leads to fiction becoming fact and vica versa. Or put differently; science is simple, scientists are complex! And this is, unfortunately, a growing concern and danger to public safety and makes it increasingly difficult for the public, to make informed decisions regarding healthcare. Although this article only dealt with conflicts of interests, a rather ‘minor’ issue, a next article will deal with the ‘scientific’ content of the NICMs acupuncture articles. This will clearly illustrate how the NICM is intentionally promoting placebo treatments at the expense of science and public safety, and how WSU is not only allowing this to happen, but that they are even actively assisting the NICM to achieve their dubious objectives. Unfortunately, if you fall for their trickery and you get hurt, then you will be all alone. The bureaucracy involved is extremely complex so the best thing to do is prevention. Stop believing that Chi is real, because it simply does not exist. Stop buying their products or using their treatments, and inform yourself and your family and friends about how these people play their sick game and what the dangers are regarding these ‘treatments’. ‘Friends of Science in Medicine’ provides valuable healthcare information as well as the website of Prof Edzard Ernst, where he discusses everything complementary medicine (what works and what doesn’t). If you are interested in receiving automatic updates regarding the NICM and what they are up to, you can always follow my Blog, Twitter or connect on LinkedIn. Will keep you posted regarding the outcome of the 2017 Bent Spoon awards (the NICM has obviously been nominated), and please, ‘Like’ and share this article via FaceBook etc. – options below. 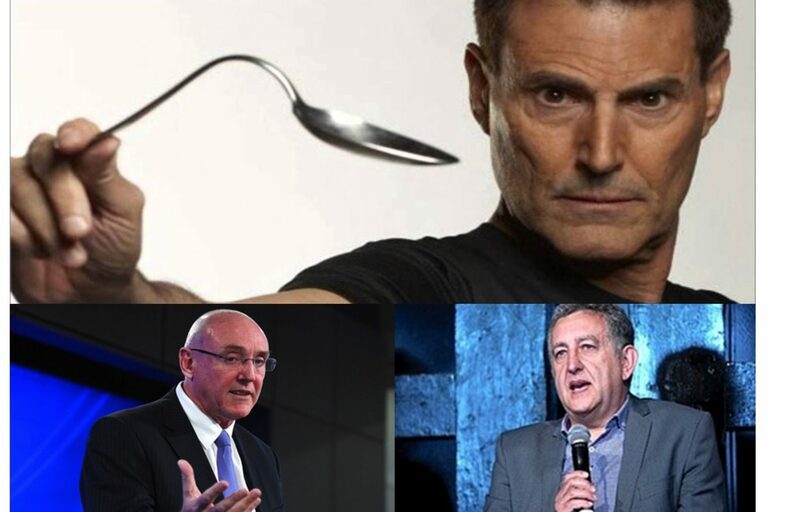 Previous PostPrevious ‘And the Bent Spoon Award goes to…?’ The NICM nominated for the second year running!! Next PostNext ‘Celebrity’ endorsements! The NICM seeking Royal endorsement using their ‘faked’ ERA ranking!